Hi, This is a guide to unlock bootloader HTC Desire 626s. It is an easy and safe guide to unlock bootloader HTC Desire 626s. If you want to root your phone or use custom recovery like CWM and TWRP recovery on your HTC Desire 626s, then you must be unlock your HTC Desire 626s bootloader. Step 1: Download and install HTC Desire 626s USB driver on your PC. Now enable developer option and USB debugging mode on your HTC Desire 626s by this guide. You will find OEM unlocking in the developer option, check it to enable OEM unlocking. Step 2: Now you open HTC Dev website, then fill the registration form and create a free account and activate this account by activation mail from your registered Email Address. Sign in to HTC account and click on Unlock Bootloader icon, then you will get a “Get started” button, click on it (see in the image). Now find Supported devices option and click on Select your Device, then select your device model by drop down menu and click on Begin Unlock Bootloader button. You will get a pop tab for confirm, click on Yes button, then you get next tab to accept Legal Terms. So tick on both option and click on Proceed to unclock Instructions (see in the image). Step 3: Now Scroll down, here you find Fast boot tool for all OS. 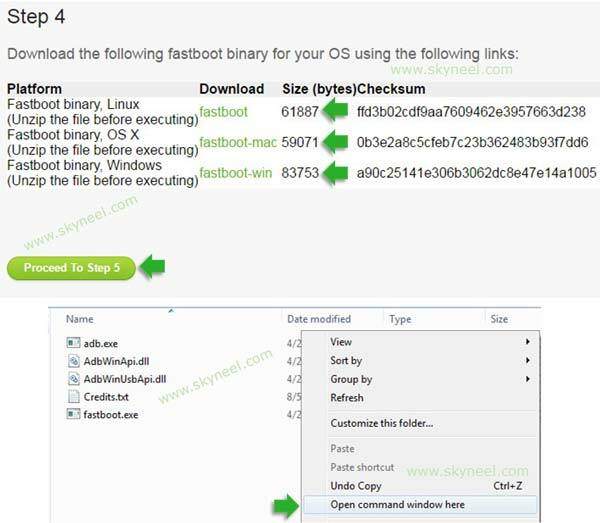 Download fast-boot tool according to your PC OS. Then click on Proceed to Step 5 button. If HTC Fastboot will not work for you, then download and extract this Fast-boot tool and press and hold shift key in the keyboard and right click on extracted Fast boot tool folder and select “Open command window here”. See in the above image. Step 4: Now connect HTC Desire 626s with PC via USB cable and type adb reboot bootloader to boot your phone in the bootloader or fastboot mode. if this CMD command is not work for reboot bootloader or fastboot mode, then switch off your HTC Desire 626s and press volume down and power button. You will get a vibration and your device will boot in recovery mode, then you select Reboot to Bootloader. Step 5: Now your HTC Desire 626s in the bootloader or fastboot mode, So you type fastboot devices in the command window then press enter key. This command show connected device in the command window and you can see your Smartphone serial number. If command window is not show your device serial number. Then install USB driver correctly or change your USB port of the PC. When your phone properly connected with your PC, then type fastboot oem get_identifier_token in the command window then press enter key. Note: copying the token code, start with <<<< Identifier Token Start >>>> and end with <<<<< Identifier Token End >>>>>. Only copy the highlighted sections above. Do not copy the INFO or (bootloader) prefix. 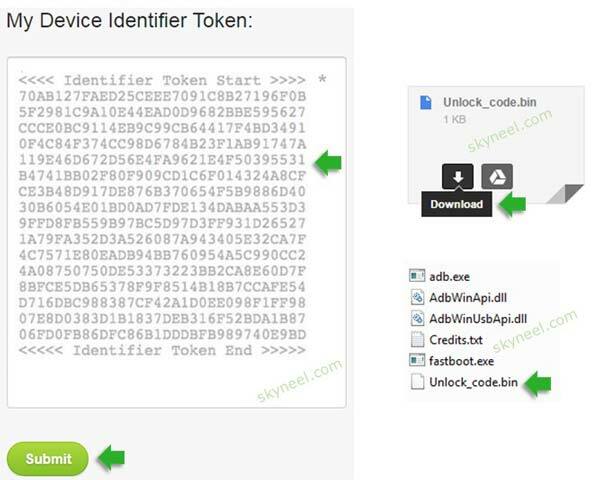 Step 7: After HTC Desire 626s Identifier token code submission, you will get a mail on your HTC DEV registered Email Address. So open HTC DEV mail and download Unlock_code.bin file and move this file in Fastboot folde (see in the above image). 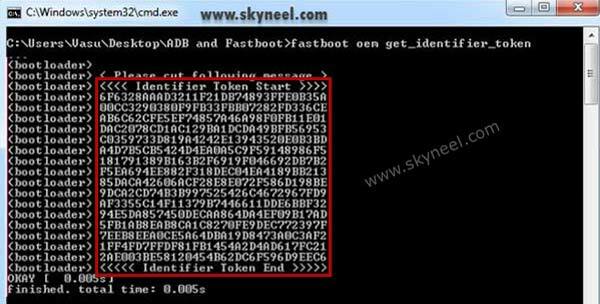 Then you type fastboot flash unlocktoken unlock_code.bin in the command window then press enter key. After some process on your HTC Desire 626s, it’s automatically reboot and you will see a warning message for unlock bootloader that means your HTC Desire 626s bootloader is successfully unlocked . I hope you like this unlock bootloader HTC Desire 626s guide from which you will be able to easily unlock bootloader HTC Desire 626s without any extra efforts. If feel any problem in this guide then please use comment box. Thanks to all. Htc 626, Htc626s is equal to HTC Desire 625 Cricket? Thank you! This helped me a lot.